The 11th Marine Expeditionary Unit (11th MEU) is one of seven Marine Expeditionary Units currently in existence in the United States Marine Corps. The Marine Expeditionary Unit is a Marine Air Ground Task Force with a strength of about 2,200 personnel. The MEU consists of a command element, a reinforced infantry battalion, a composite helicopter squadron and a logistics combat element. 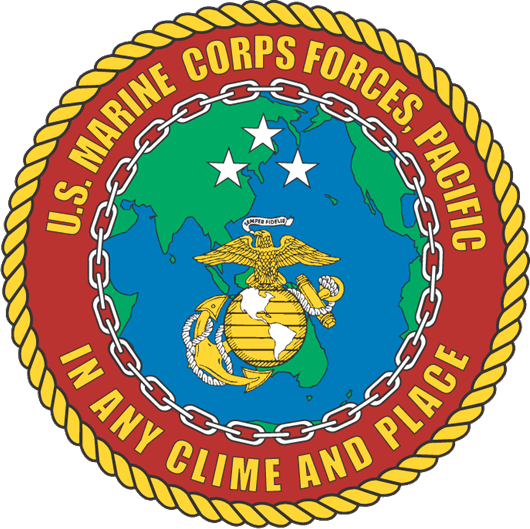 The 11th MEU is currently based out of Marine Corps Base Camp Pendleton, California with headquarters in Camp Del Mar. The 11th Marine Expeditionary Unit (MEU), originally designated the 17th Marine Amphibious Unit (MAU), formed at Camp Pendleton, California on 13 April 1979. The MAU was created to plan and participate in large-scale amphibious training exercises. In its early days, the unit also fulfilled requirements for a west coast based MAU to respond to contingencies, but was normally activated and deactivated based largely upon scheduled amphibious landing exercises directed by the Commander, Third Fleet. During this time, the billet of MAU Commanding Officer alternated between Regimental and Aircraft Group Commanders who filled the billet in six-month increments as a secondary duty during their tenures in command. In 1983, the Marine Corps directed a change that resulted in the first renaming of the 17th MAU. The decision was made to “source” the continuously deployed Western Pacific (WESTPAC) MAUs from I Marine Amphibious Force units in Southern California. Previously, their units came from the 1st Marine Brigade in Hawaii. This resulted in the renaming of the 17th MAU to the 11th MAU on 20 July 1984. A second name change took place on 5 February 1988, when the Marine Corps more clearly defined the multiple capabilities of its Marine Air-Ground Task Forces. “Amphibious” was changed to “Expeditionary,” and the unit was given its current designation – the 11th Marine Expeditionary Unit. While the unit's designation has changed, the mission of the 11th MEU has remained largely unchanged. The MEU is an expeditionary intervention force with the ability to move quickly on short notice, to wherever needed to accomplish conventional or special operations. The strength of the MEU (Special Operations Capable) resides in the inherent combined arms capability while operating from forward-deployed amphibious shipping. In order to accomplish this mission, the MEU’s continually train to maintain the required combat readiness, while simultaneously fulfilling worldwide training and contingency commitments. The 11th MEU has completed several major deployments to the Western Pacific, Indian Ocean, and Persian Gulf. It has participated in numerous training exercises/operations from the coast of California to the shores of Somalia, and as far inland as Bujumbura, Burundi and in Central Africa. During its 1998 deployment, the 11th MEU conducted Operation Safe Departure. This was a Noncombatant Evacuation Operation, which took place in Asmara, Eritrea, on 6 June 1998. The evacuation of noncombatant civilians and third-world nationals was conducted as a precautionary measure to ensure their safety in the midst of a heated border dispute between Eritrea and Ethiopia. All total, 172 persons, to include 105 Americans, were safely evacuated to Amman, Jordan, via KC-130 aerial transport. During its 1999 deployment, the 11th MEU supported Operation Stabilise in East Timor from 25 October 1999 to 27 November 1999. The MEU was called on to provide support to International Forces, East Timor (INTERFET) delivering more than 1.5 million pounds of food and supplies to the Australian-led peacekeeping forces and East Timorese. On 24 February 2003, the 11th MEU Command Element deployed to Kuwait in support of Operation Enduring Freedom and later Operation Iraqi Freedom. On 5 March 2003, the Commanding General, I Marine Expeditionary Force (I MEF), designated the 11th MEU as Task Force Yankee (TFY), named in memory of the victims of the 11 September terrorist attacks. The following units were soon attached to the new task force: 2nd Battalion, 6th Marines; Sensitive Site Team No. 3, 75th Exploitation Task Force, U.S. Army; and Company C, 478th Engineer Battalion, U.S. Army. TFY’s responsibilities were varied and challenging. They included: planning and operation of the MEF Enemy Prisoner of War (EPW) temporary holding facility; force protection for Camp Commando, MEF Main in Iraq, ships transiting uncertain waters in the region, and MEF’s primary ammunition supply point; initial investigations of suspected Weapons of Mass Destruction (WMD) sites; coordination of security plans for designated air bases, logistic support areas and lines of communication in Iraq; and Phase IV planning. The 11th MEU returned to the United States on 20 May. On 31 July 2004 the 11th Marine Expeditionary Unit, under the Polish-led Multinational Division Central-South (MND-CS), assumed operational control of the Iraqi provinces of An Najaf and Al Qadisiyah from Task Force Dragon, composed of elements of the 1st Infantry Division. During August 2004, the MEU, led an assault consisting of 1st Battalion, 4th Marines; 1st Battalion, 5th Cavalry Regiment, 1st Cavalry Division; and 2nd Battalion, 7th Cavalry Regiment, 1st Cavalry Division, against the Islamist Mahdi Army of Muqtada al-Sadr in Najaf. The battle ended with a negotiated ceasefire later that month. The MEU remained in Najaf until February 2005 overseeing reconstruction and solatia payments. From November 2007 until 2 June 2008 the 11th MEU was deployed throughout the western Pacific and Persian Gulf. During this float they took part in exercises in the Horn of Africa and Kuwait. Elements of the 11th MEU were deployed and actively participated and assisted with the Hurricane Katrina relief effort shortly after the storm. The 11th MEU was temporarily based in Mississippi and the John C. Stennis Space Center. Southwest Asia Service Medal w/ 3 stars. ↑ Ristine, Jeff (3 June 2008). "Returning to greetings and first-time meetings". signonsandiego.com. http://www.signonsandiego.com/news/military/20080603-9999-1m3home.html. Retrieved 3 June 2006. Wikimedia Commons has media related to 11th Marine Expeditionary Unit.